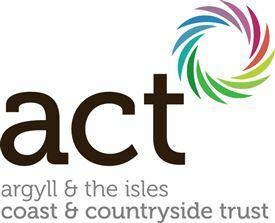 We want everyone in Argyll and the Isles to experience and appreciate our spectacular coast and countryside. We believe that residents, businesses, and visitors should all be able to enjoy and benefit from this wonderful region, so we work hard to maintain, enhance, and promote our great outdoors. As a social enterprise we work with partner organisations, businesses and community groups to deliver projects. Each project has a Steering Group which includes representatives from our Board, Advisors, core staff and the communities where the project is based. We support the existing network and aim to be flexible and quick to respond to as we approach new challenges. * To care for and enhance our environment - working strategically and locally. * To encourage people to enjoy and benefit from our environment. * To encourage investment that will improve our environment. * To share ideas and work in partnership with groups and individuals with an interest in our environment. * To increase opportunities for local people such as employment, training, and volunteering. We work in partnership with lots of organisations, businesses and community groups. There are no jobs with ACT at the moment. Sign up to email alerts below to get notified when new jobs are added. Get the latest jobs from ACT sent direct to your inbox!